Pillai, Smitha, et al. "Tank binding kinase 1 is a centrosome-associated kinase necessary for microtubule dynamics and mitosis." Nature communications 6 (2015). Keifer, Joyce, and Zhaoqing Zheng. "Coincidence detection in a neural correlate of classical conditioning is initiated by bidirectional 3‐phosphoinositide‐dependent kinase‐1 signalling and modulated by adenosine receptors." The Journal of physiology 593.7 (2015): 1581-1595. 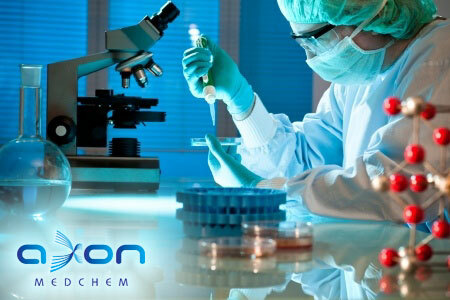 *BX912 and BX795 were purchased from Axon Medchem. Awuh, Jane Atesoh, et al. "Keap1 regulates inflammatory signaling in Mycobacterium avium-infected human macrophages." Proceedings of the National Academy of Sciences 112.31 (2015): E4272-E4280. di Blasio, Laura, et al. "PDK1 regulates focal adhesion disassembly by modulating endocytosis of αvβ3 integrin." Journal of cell science 128.5 (2015): 863-877.
di Blasio, Laura, et al. "PDK1 regulates focal adhesion disassembly through modulation of αvβ3 integrin endocytosis." J Cell Sci (2015): jcs-149294. Chau, Tieu-Lan, et al. "A Role for APPL1 in TLR3/4-Dependent TBK1 and IKKε Activation in Macrophages." The Journal of Immunology 194.8 (2015): 3970-3983. * BX795, U0126, and GSK1120212 inhibitors were from Axon Medchem. Dieterle, Alexandra Maria, et al. "PDK1 controls upstream PI3K expression and PIP3 generation." Oncogene 33.23 (2014): 3043-3053. Parsons, K. S., A. C. Hsu, and P. A. B. Wark. "TLR3 and MDA5 signalling, although not expression, is impaired in asthmatic epithelial cells in response to rhinovirus infection." Clinical & Experimental Allergy 44.1 (2014): 91-101. Deng, Tao, et al. "shRNA kinome screen identifies TBK1 as a therapeutic target for HER2+ breast cancer." Cancer research 74.7 (2014): 2119-2130. Shanmugasundaram, Karthigayan, et al. "The oncometabolite fumarate promotes pseudohypoxia through noncanonical activation of NF-κB signaling." Journal of Biological Chemistry 289.35 (2014): 24691-24699. Lee, Mark Nackyoung, and Nir Hacohen. "Methods relating to dna-sensing pathway related conditions." U.S. Patent Application No. 14/676,933. Rajasekaran, Vidya. Tissue Transglutaminase (TG2) is a potential therapeutic target in the treatment of chemoresistant breast cancer. Diss. Aston University, 2014. METHODS AND COMPOSITIONS FOR TREATING CANCER. Q Yu, J Tan - US Patent 20,130,123,328, 2013. Hyaluronan fragments induce IFNbeta via a novel TLR4-TRIF-TBK1-IRF3-dependent pathway. KE Black, SL Collins, RS Hagan, MJ Hamblin, Y Chan-Li, RW Hallowell, JD Powell & MR Horton. TLR3 and MDA5 signalling though not expression, is impaired in asthmatic epithelial cells in response to rhinovirus infection. KS Parsons, AC Hsu, PAB Wark - Clin. & Exp. Allergy, 2013. DOI: 10.1111/cea.12218. 3-Phosphoinositide-Dependent Kinase 1 Controls Breast Tumor Growth in a Kinase-Dependent but Akt-Independent Manner1,2. PA Gagliardi, L di Blasio, F Orso, G Seano, R Sessa, D Taverna, F Bussolino, L Primo. Phosphorylation of microtubule-associated protein tau by AMPK-related kinases. Localization and retention of p90 ribosomal S6 kinase 1 in the nucleus: implications for its function. X Gao, D Chaturvedi, TB Patel. High-throughput RNAi screening reveals novel regulators of telomerase. MA Cerone, DJ Burgess, C Naceur-Lombardelli, CJ Lord, A Ashworth. The Protein Kinase IKKε Is a Potential Target for the Treatment of Inflammatory Hyperalgesia. CV Möser, K Kynast, K Baatz, OQ Russe, N Ferreirós, H Costiuk, R Lu, A Schmidtko, I Tegeder, G Geisslinger, E Niederberger. PKC‐dependent endocytosis of the Helicobacter pylori vacuolating cytotoxin in primary T lymphocytes. X Sewald, L Jiménez‐Soto, R Haas. Specification of the NF-κB transcriptional response by p65 phosphorylation and TNF-induced nuclear translocation of IKKε. R Moreno, JM Sobotzik, C Schultz, M. Lienhard Schmitz. Nature and Duration of Growth Factor Signaling through Receptor Tyrosine Kinases Regulates HSV-1 Latency in Neurons. V Camarena, M Kobayashi, JY Kim, P Roehm, R Perez, J Gardner, AC Wilson, I Mohr, MV Chao. Cell Host & Microbe. 2010, 8 (4), 320-330.